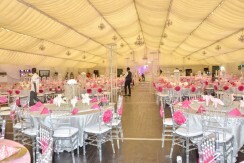 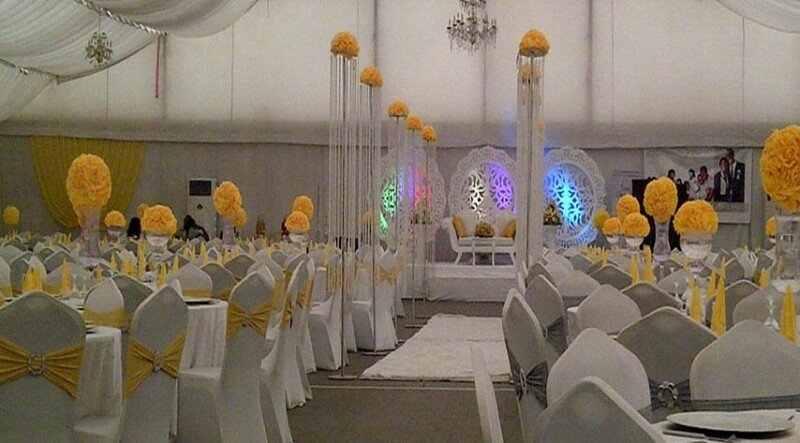 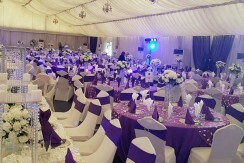 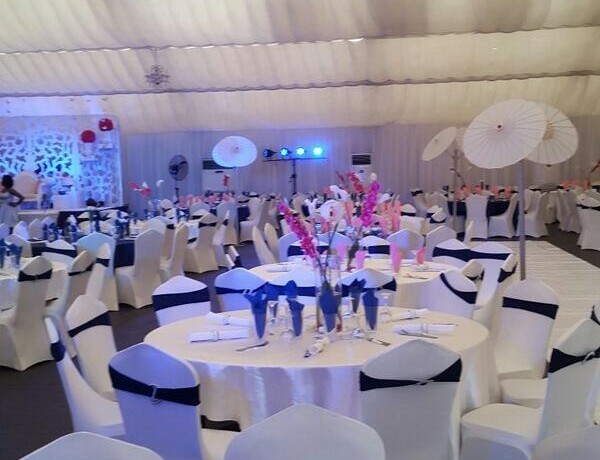 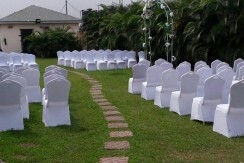 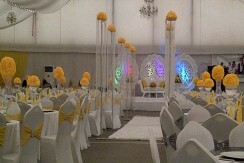 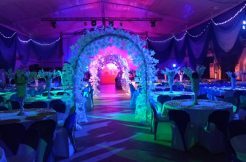 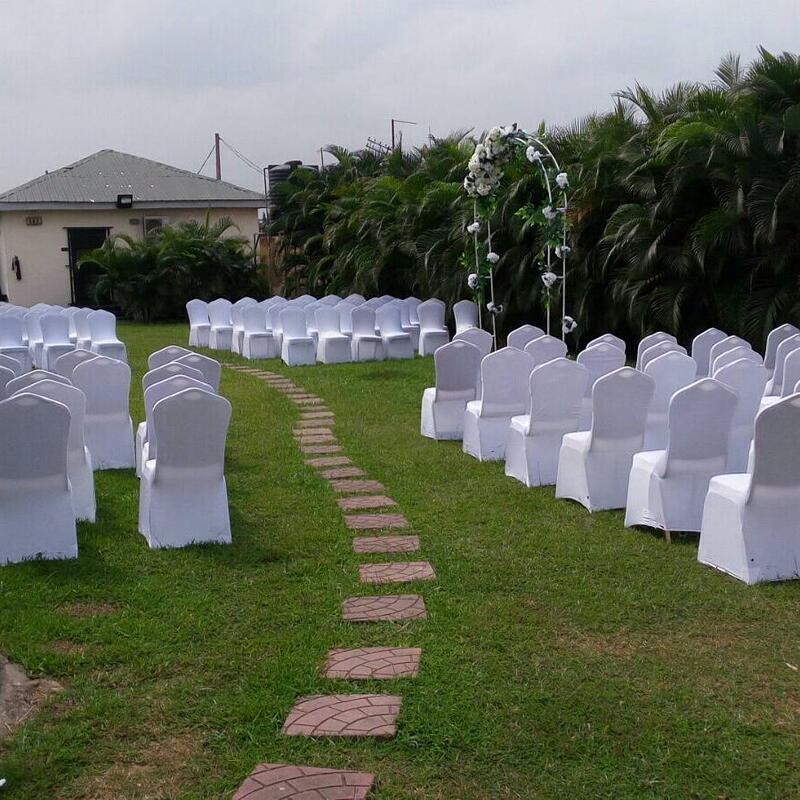 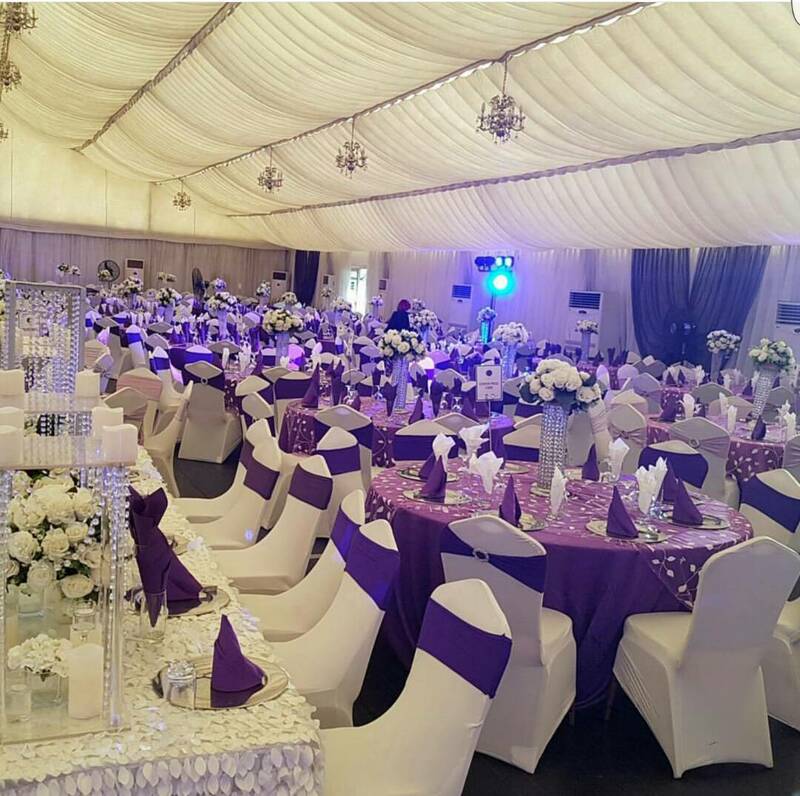 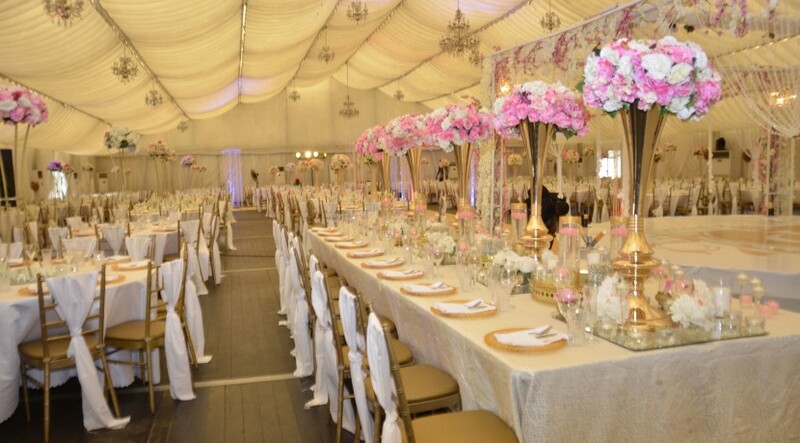 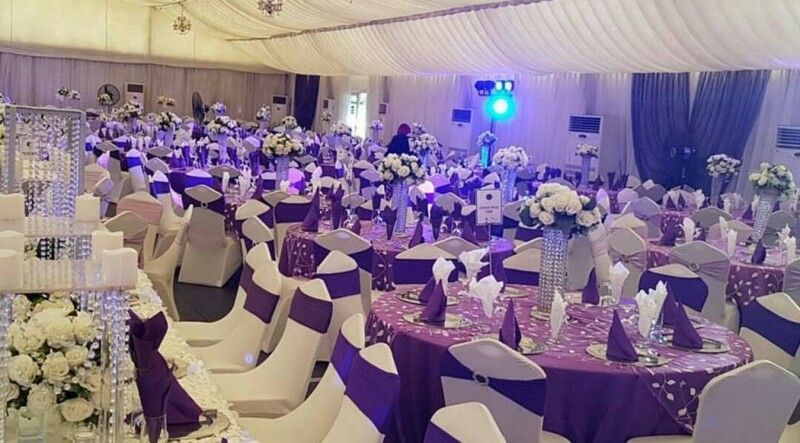 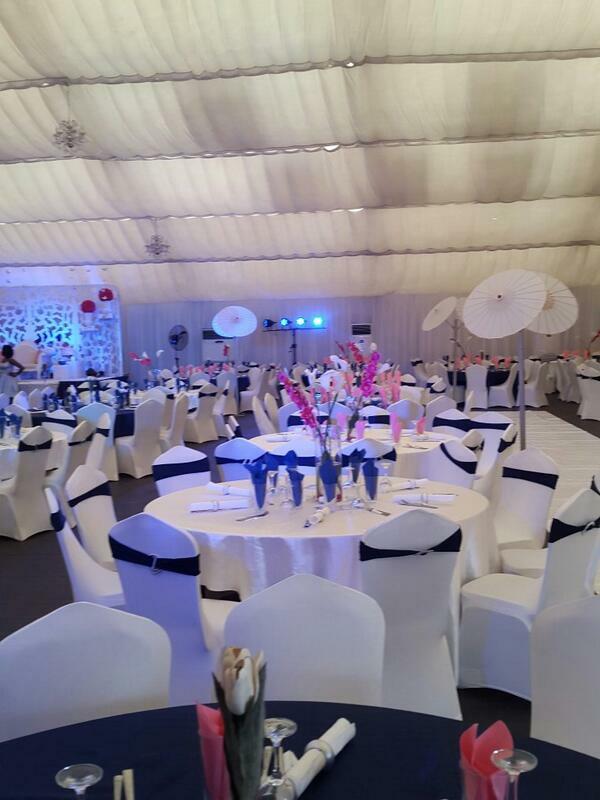 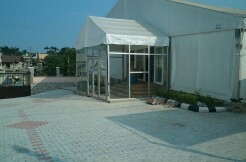 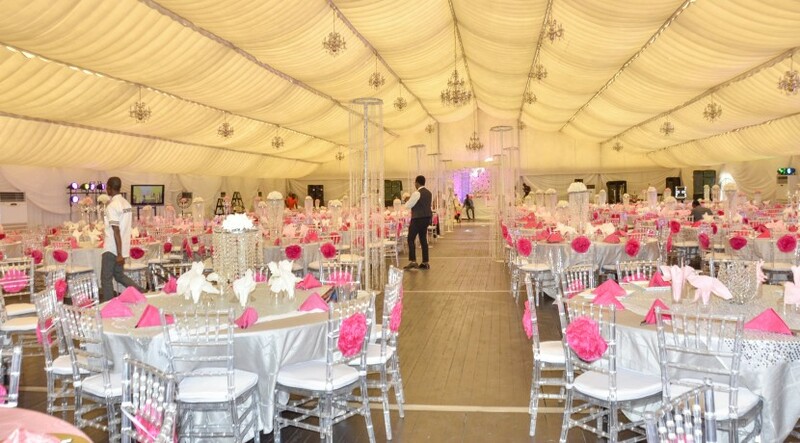 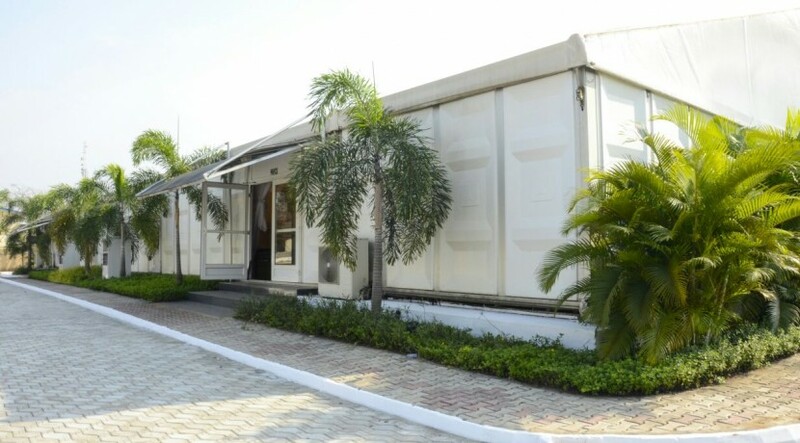 The Venue by Euphoria Event Place is a multipurpose and multi-venue event place located in Ikeja, Lagos. 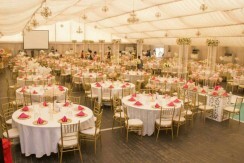 Euphoria Event Place at full capacity sits 1200 guests in a banquet setting and 1500 guests in a theater setting. 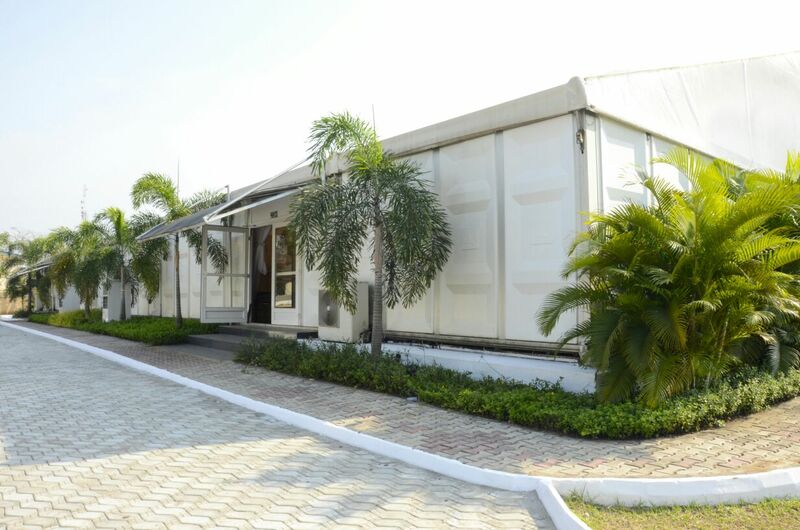 It sits on about one acre parcel of land, thus providing large parking facility for the convenience and comfort of the guests. 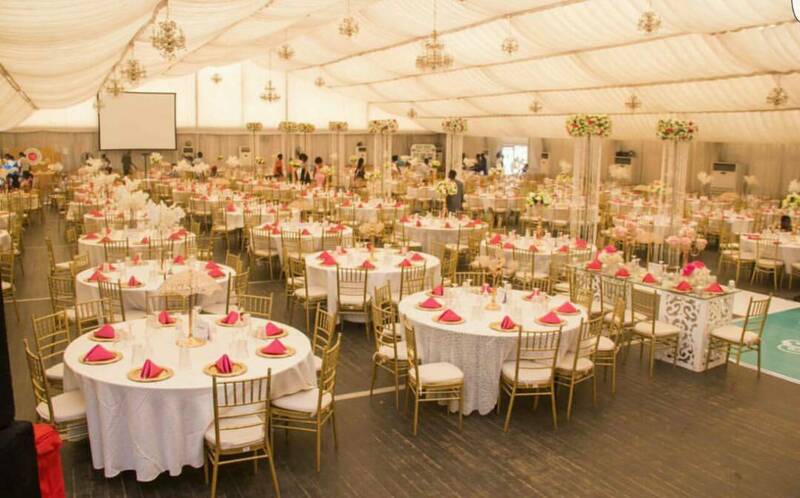 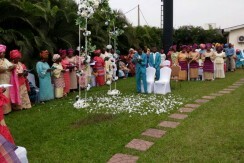 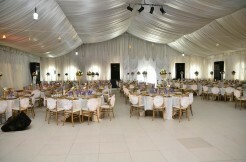 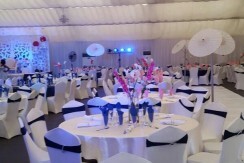 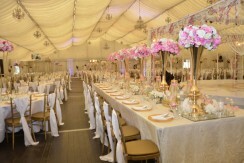 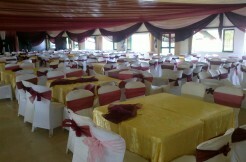 The Marquee is fully air-conditioned and comes with comfortable banquet chairs and tables. 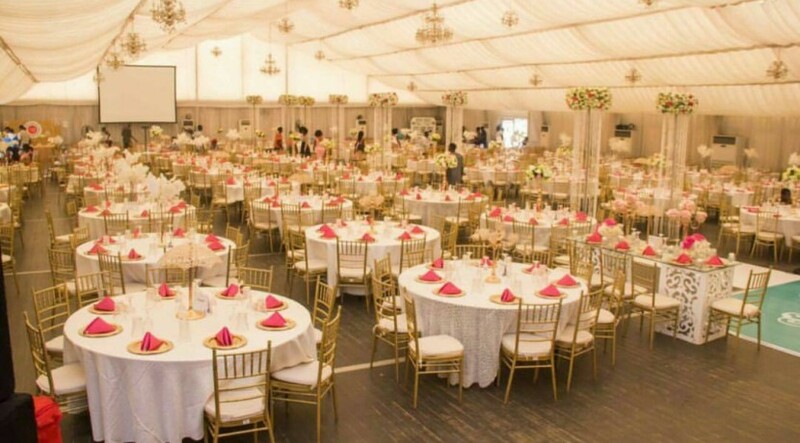 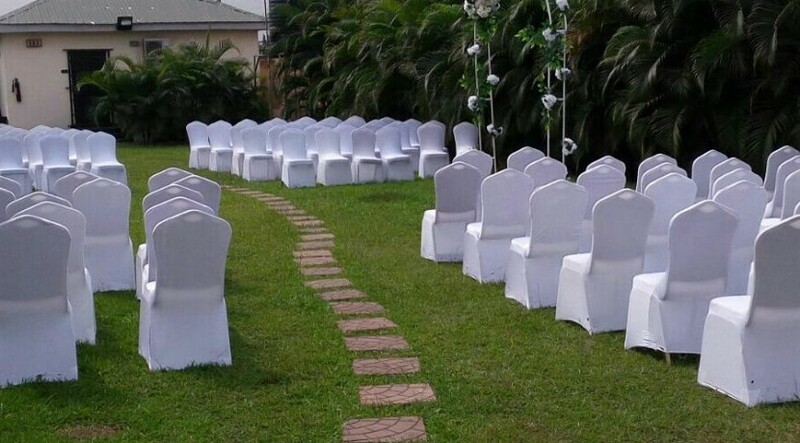 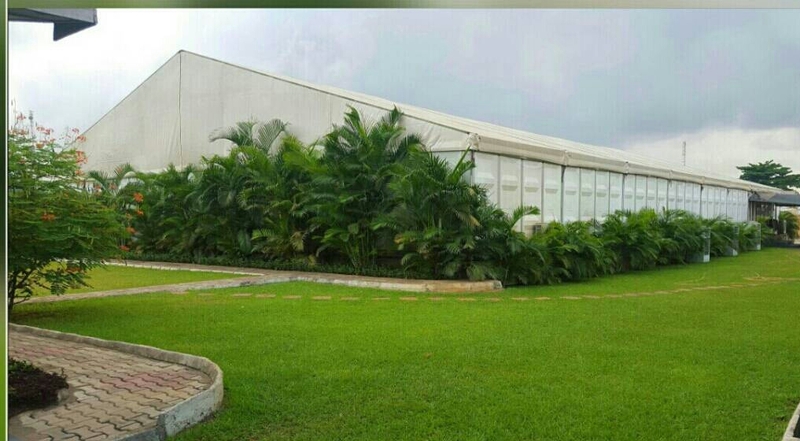 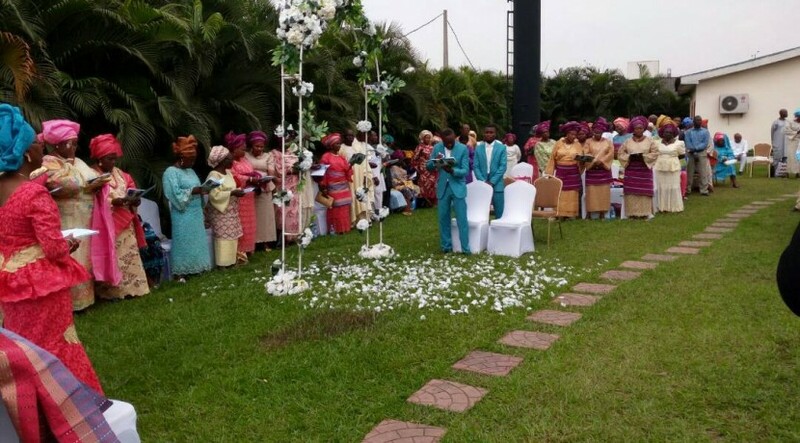 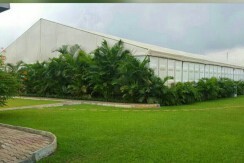 The Event Centre is surrounded by trees, beautiful flowers and lush green lawns, giving you a picturesque and serene ambiance for both your indoor and outdoor events. 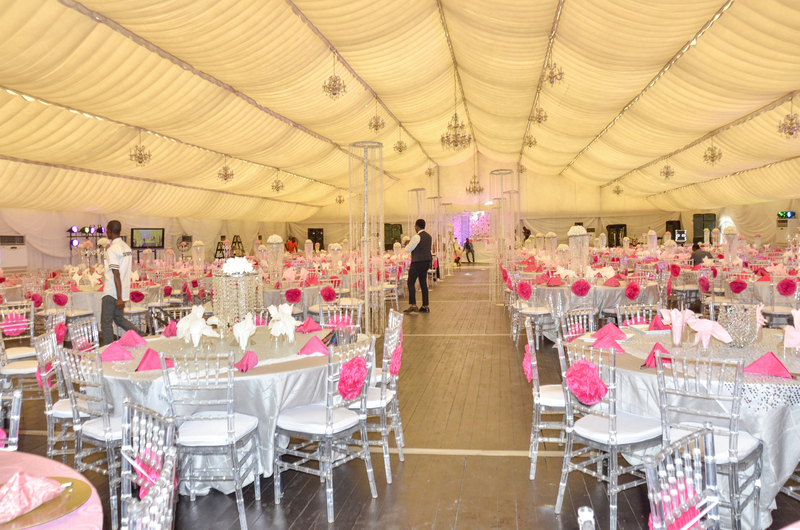 Inside, the marquee is well lit with alluring chandeliers and natural light. 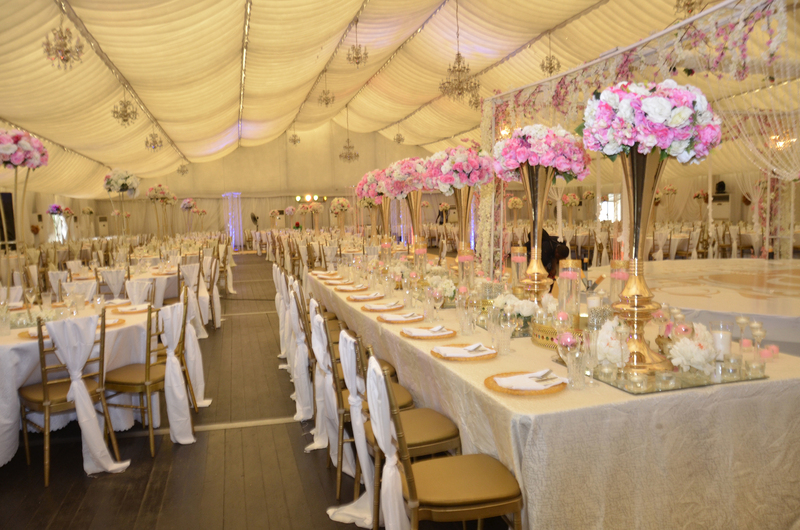 The beauty of the marquee is further enhanced by its wooden flooring.